THE HIGHLANDS LASALLE PROJECT IS NOW 100% SOLD. Quorum would like to thank all of our clients, suppliers and employees who are what made this project a resounding success. In an effort to help maintain LaSalle's dynamic community, Quorum is proud to have contributed financially to the projects of several local organisations such as the LaSalle Hospital foundation, the Maison de soins palliatifs Sault-Saint-Louis, the local radio station CKVL 100,1 FM, the LaSalle Soccer Association, the Carrefour Jeunesse-Emploi de LaSalle, and the Chambre de commerce et d'industrie du Sud-Ouest de Montréal. Discover Highlands LaSalle, a prestigious multi-generational residential project offering superb and spacious units harmoniously surrounded by nature. 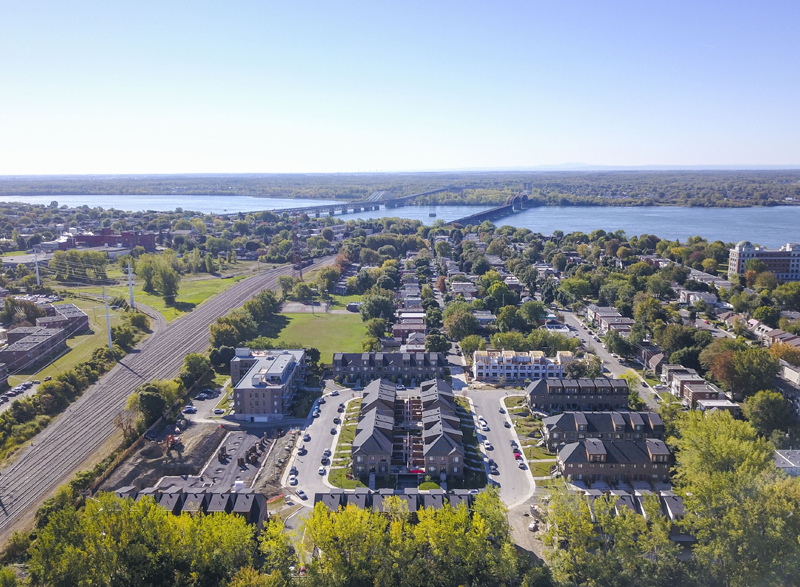 Strategically situated within 15 minutes from downtown, a two-minute walk to the LaSalle train station, the Lachine Marina, and the Lachine canal and its bike path. Live on the island of Montreal, with all of its intimacy and suburb-like serenity, at an accessible price point!